"So, a prediction, and you heard it here first (actually, if you've been following this debate about carbon fibre blades, you'll have heard it here years ago): If he desires to run against able-bodied athletes, Alan Oliveira will win a medal in the 400m at the 2016 Olympic Games." "... The decision to allow [Oscar] Pistorius his wish to compete in able-bodied events was always going to have predictable repercussions in the future. These were unfortunately obscured by marketing, emotion and the incomplete (dishonest?) presentation of science. Allied to this was the media's almost total inability and lack of will to challenge the PR campaigns and to ask the difficult questions while they fell over themselves to tell the heart-warming, popular story." 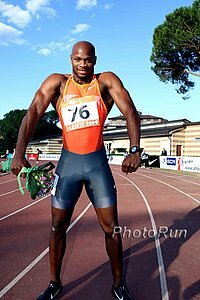 - The Science Of Sport's Ross Tucker making the prediction that Brazil's double amputee sprinter Alan Oliveira will medal at the 2016 Games. This comes after Oliveira won the IPC world 200m title in 20.66, breaking the previous record by .64 seconds. 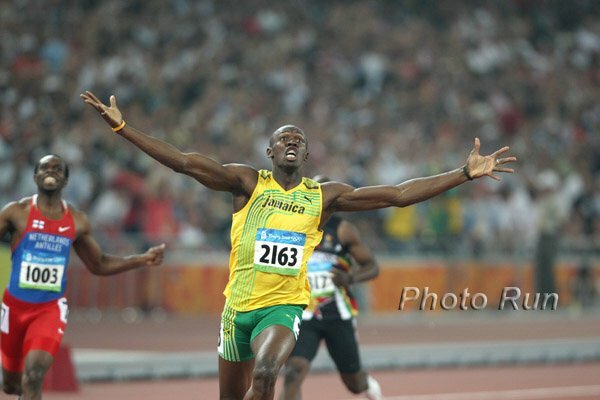 He is now already .64 faster than Oscar Pistorius over 200, and .14 faster over 100 and he's only 20 years old. Mark Covert to take a day off from running, the First one since 1968!!!!! Matt Elliot Gets World Championships 1500 "B" Standard With 3:36.88 For 2nd Place In Germany He is now the official alternate (a viewer has written pointing out USATF rules said the "B" standard had to be hit by July 20th, even though IAAF rules say it can be up to the 29th) can compete if Matt Centrowitz, Leo Manzano or Lopez Lomong withdraw from team. Russian Champs: Natalya Aristarkhova Wins Steeple in 9:34; Rinas Akhmadiyev Wins 5000 In 13:49.73 Even though no one in Russia has the "A" or "B" standard in the men's 5000, they will still get to send someone as he host nation gets to enter someone in every event. 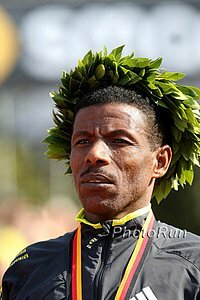 Tesfaye Alemayehu Wins His 4th Straight Napa-to-Sonoma Wine Country Half Marathon In 1:04:10 Former 1500 Olympian for Canada, Malindi Elmore, won the women's race. Recap Of Polish Champs Marcin Lewandowski ran the 1,500 and was 2nd. 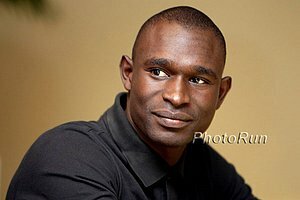 David Rudisha's Season Is Done; Unlikely To Race Again Until March Next Year He thought about coming back for Zurich DL in late August or Brussels in September, but his coach thought it better not to rush back from his knee injury. Kenyan World Champs Marathon Team Led By A Bunch Of Guys You've Probably Never Heard Of Sally Kipyego's brother Michael Kipyego is on the team as well as 58:41 half-marathoner Bernard Koech. Other members include Peter Some, Bernard Kipyego and Nicholas Kipkemboi. The women's team is led by Valentine Kipketer (2:24:20) and Margaret Akai (2:23:28). AP: Gay, Powell blame members of their inner circles An investigative look into how sometimes athletes are deceived by training/nutrition "gurus" and sometimes they just use them as an excuse. Includes a quote from David Oliver saying the burden is on the athletes to know what they take. 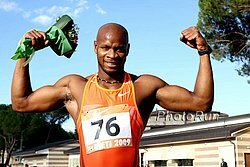 Former Irish Boxing Olympian and World Champion Brian Magee Fails Drug Test He tested positive for Oxilofrine, the same thing Asafa Powell. Professor Of Practical Ethics At The University Of Oxford, Editor Of The Journal Of Medical Ethics, Julian Savulescu, Is All For Doping He falsely thinks there are no side effects from doping and says "doping is little different to taking glucose during a race to help you perform as well as you can." Good Read: Meet Scotland's And Glasow University's Laura Muir, Who Has Gone From 2:07.3 To 2:00.8 In One Year And Is Now Going To Moscow Before her switch to new coach Andy Young, she used to wonder how she'd ever compete at Commonwealths. 12 Days: Moscow World Championships Ticket Update - Final Weekend Sold Out - 80.59% Sold For Whole Thing IAAF IAAF is optimistic evening sessions can all be sold out. Sad RIP News: S is.edu/JASTEELE/pictures/Pre/steve%20prefontaine.jpg" width="90" height="137" border="0">Steve Prefontaine's Mother Elfriede Dies At Age 88 Pre Classic meet director Tom Jordan: "Anyone who knew Elfriede knew how strong-willed she was - and stubborn. Even though she was always soft-spoken and very self-effacing, she had a toughness that Steve had also." David Epstein For SI: Tyson Gay Linked To Atlanta Anti-Aging Specialist Clayton Gibson Gibson admits to working with Gay, but was not specific with what treatments he received. Asked if he uses anything that could lead to a positive drug test, Gibson said, "what I have is all food-based products and herbals as well as homeopathic products ... [nothing] synthetic," but didn't seem to deny that some products could contain testoU-T San Diego: Tyson Gay Tests Positive, And Our Faithy-Usain-Bolt-drugs/?#article-copy">U-T San Diego: Tyson Gay Tests Positive, And Our Faith Some interesting stats such as now 8 of the 10 men who have gone sub-9.80 have been linked to doping. Also, Victor Conte (the man behind BALCO) once said he didn't think any man could run faster than 9.92 seconds without doping. Semenya Tries To Make Worlds Today: Caster Semenya Will Race For First Time Since Last Year Today At Lahti Games In Finland Based on this article, it sounds like she'll be going for the IAAF "A" s"Heavily-Pregnant" Vivian Cheruyiot: "If they (Ethiopians) make a mistake of celebrating because I am not in the team, they will be in for a rude awakening." of celebrating because I am not in the team, they will be in for a rude awakening." She also said that she thought Gladys Cherono is capable of beating Tirunesh Dibaba.